Crystal Mountain: It’s Not Just for Skiing Anymore! Plan your summer getaway and take our advice…a week is NOT enough at Crystal Mountain! Pick and choose any of the following activities for your unforgettable getaway to Mt. Rainier! 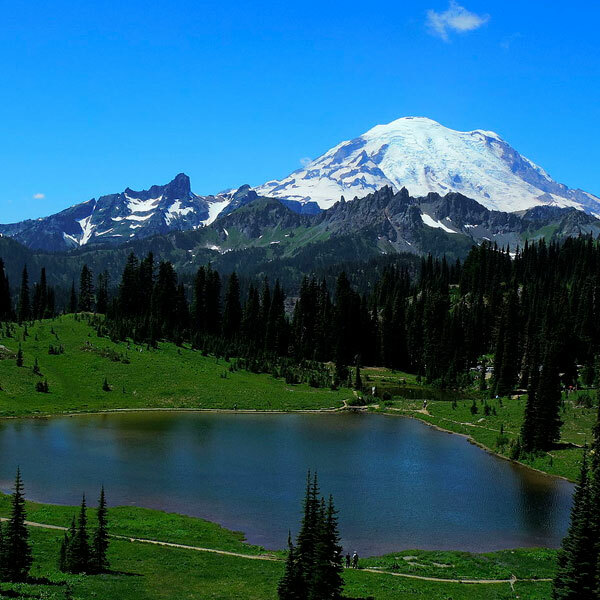 Take a look at our sample 9 day itinerary, taking you through many fun activities to do around Crystal Mountain and Mount Rainier National Park! 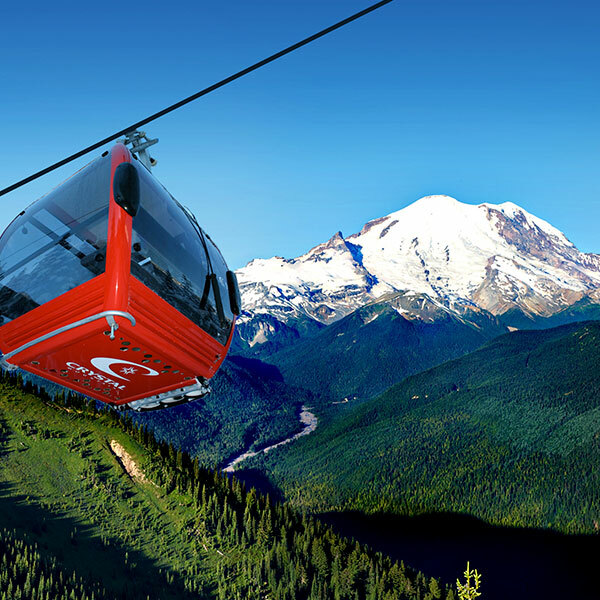 The addition of the Mount Rainier Gondola has opened Crystal Mountain to a summer season. 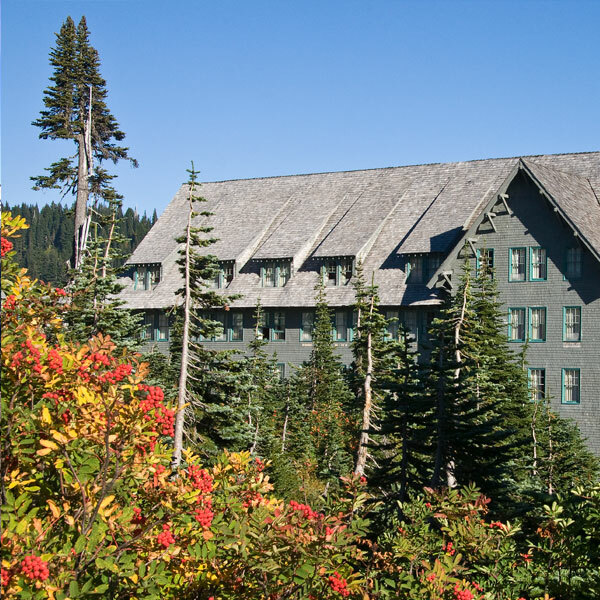 Crystal Mountain Hotels offers a schedule of adventures for your summer time enjoyment. Add a day to your vacation for more fun! Crystal Mountain is ever expanding and we’re sure to offer new adventures time after time. Make Crystal Mountain part of your summer vacation every year! Travel to the summit of Crystal Mountain (6872 ft!) via the Mount Rainier Gondola to view Mt. Rainier (14,411 ft!) and the White River below (~4,000ft). The summit of Mount Rainier is just 12 miles away, as the crow flies. Mt. Adams, Mt St. Helens, Mt. Hood and Mt. Baker are all visible on a clear day! The Mt Rainier Gondola is a state of the art cable car that can hold up to 8 people per cabin and is handicap accessible. Enjoy a tasty lunch at the Summit House Restaurant, take in the views with a cold beverage. If you’re feeling up to it, hike from the base up to the summit or take the Crystal Mountain Trail on the way down! Check out the map! Day 2: See Sunrise at Sunrise! The East side of Mt Rainier holds the Sunrise Visitors Center. Experience the difference in views and often climate between Paradise and Sunrise! As the name tells, you can’t beat watching a sunrise from Sunrise. Join in on guided tours from the Sunrise visitors center. You will enjoy the amazing alpine scenery and a plethora of hiking trails for all hiking levels. One of our favorites is the hike to the Fremont Fire Lookout, 4 miles RT. 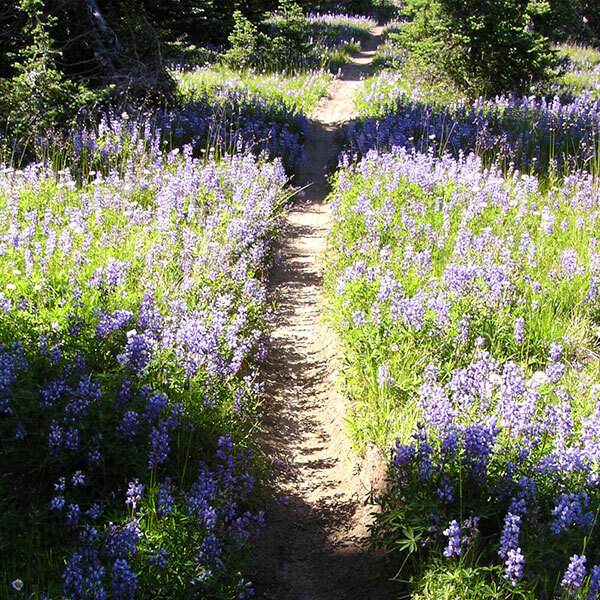 Hike a section of the historic Pacific Crest Trail which runs right through Crystal Mountain’s backyard! Drive from Crystal to Chinook Pass by State Route 410. Park at the PCT/Sheep Lake trailhead or at the Tipsoo Lake trailhead. Hike the PCT North to arrive at Bear Gap. Descend into the base area via Bear Gap trail to Henskin Lake. (CM Hiking Map). After your excursion, head down to the Snorting Elk Cellar to enjoy one of the many PNW brews. Indulge in the casual fine dining the Alpine Inn Restaurant above the Snorting Elk Cellar. Drive to the Steven’s Canyon entrance to Mt Rainier National Park, the very first turn off is the trail head for the Grove of the Patriarchs trail. This hike is only a 35 minute or less drive from Crystal Mountain and offers you a chance to see some of nature’s oldest specimen. 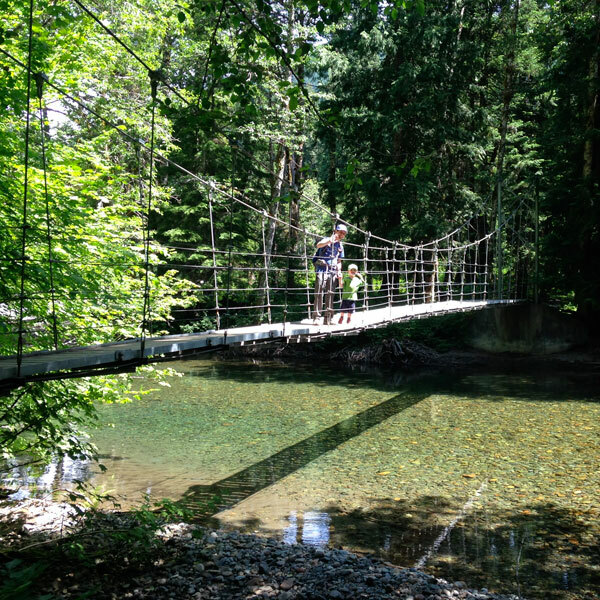 This short, easy trail leads you over the Ohanapecosh River by way of a cable bridge, to a river island of old growth trees….some cedars over 800 years old. The boardwalk makes the adventure manageable for all ages. These trees have been protected from the many forest fires that have burned through the area over time by being on this island. While you are there, check out the Ohanapecosh Visitors Center and the Silver Falls Trail. 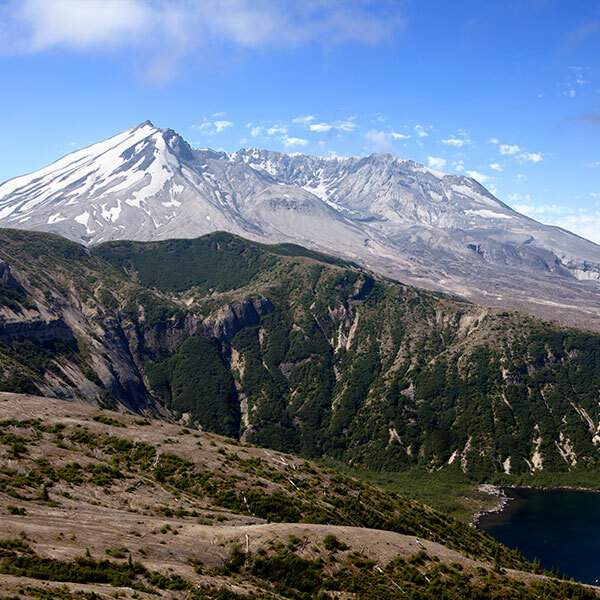 Drive to Windy Ridge at Mt St Helens to witness the scene of the 1980 volcanic eruption, which blew 3000 ft off the top of the volcano, emptied the famous Spirit Lake and entombed Harry Randall Truman forever. It is only a two to two and a half hour drive from Crystal Mountain. 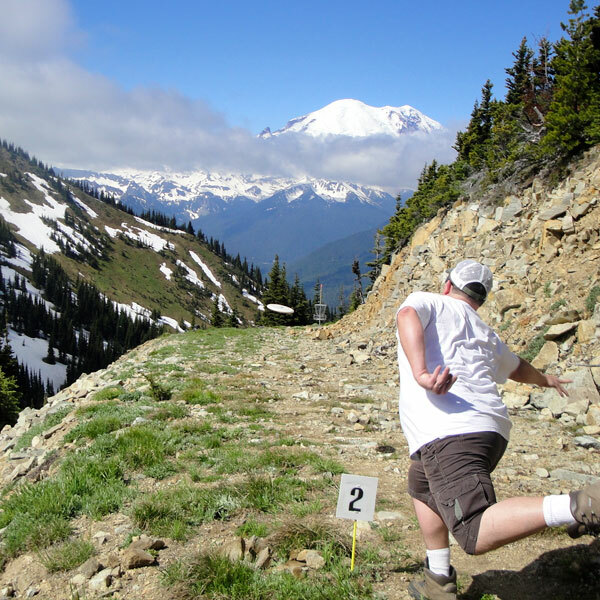 Enjoy a round of disc golf at Crystal Mountain. We offer 32 holes and 2 courses, Lower mountain course and Upper mountain course! The game is played with Frisbees and baskets for the “holes”. The course utilizes the ski slopes and can be quite steep. On the Alpine Inn lawn, we have a disc golf basket set up with some spare disc for those who want to practice or let the kids in on the fun. Maps and Snorting Elk disc golf discs can be found at the Village Inn Office. Take a look at the course map! Don’t forget to stop in at the Snorting Elk for a beer after you’ve defeated such a challenging course. Don’t miss the Mt High Tournament the weekend after Labor Day! 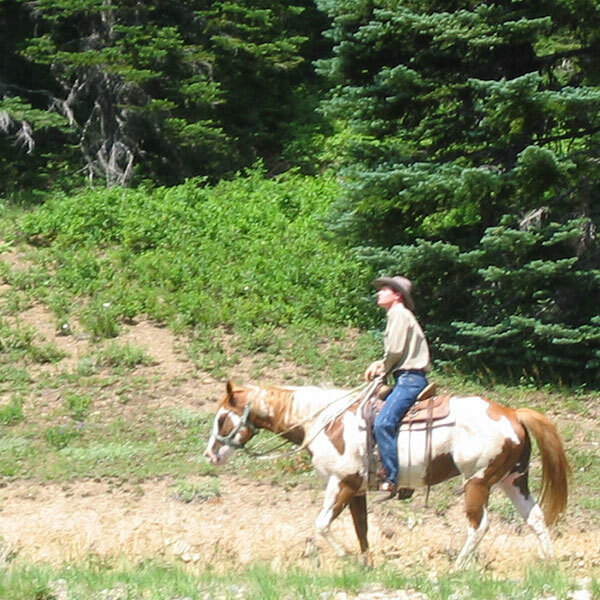 Explore Crystal Mountain by horseback with Chinook Pass Outfitters. Trips run daily during the summer just steps from your hotel. Trail rides range from 1 hour to an entire day! Follow this link for details. Day 8: Make a trip to PARADISE! You’ll understand the name when you arrive. Paradise is located on the west side of Mt. Rainier. Amazing views, enjoy seeing wildflowers and watching wildlife. The Henry Jackson Visitor’s Center is fun for the whole family! Guided tours run daily with National Park Rangers. 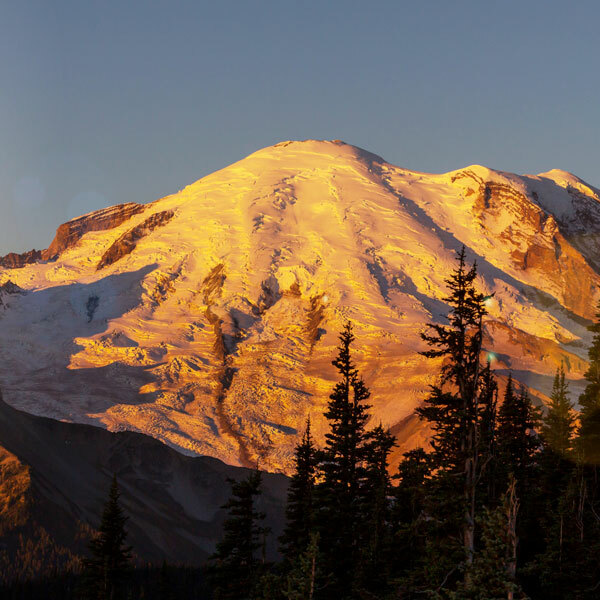 Get advice on great hikes from the experts, family friendly hikes or more strenuous hiking, maybe even up to Camp Muir, can be found at the Visitor’s Center. Take a look at the Paradise Inn. Don’t miss the beauty of the architecture and hand-painted chandeliers. The Paradise Inn is also a great stop for your lunch break or check out the cafeteria in the Visitors Center! Take 410 over Chinook Pass along the Chinook Scenic Byway, enjoying a drive through the William O. Douglas National Forest. Following the American River along the highway is a joy of its own. Take a dip in Bumping Lake for the day. Or continue on to Yakima to visit many wonderful Washington wineries for a tasting tour. Don’t forget to stop in at one of the many roadside produce stands to try fresh apples, peaches, cherries and more! Look out for those huckleberry bushels, they can run over $50 a pound!